At Healthy Pets Veterinary Care, our goal is to allow you and your pet to share a long, healthy and happy life. We start with guidance for your puppies and kittens and stand by your side with pet wellness plans for pets of all ages (including seniors) – but as your pet ages, they have additional needs and may require extra care. At Healthy Pet’s Veterinary Care, we take senior care very seriously. We know puppies and kittens are fun and exciting, but we believe growing old together with your best friend is the most rewarding experience a pet parent can have. As your pet ages, we will recommend additional examinations and diagnostic tests to make sure your pet is healthy and happy for as long as possible. For our senior pets (age 7 and older), we recommend semi-annual exams, instead of the traditional once yearly visit. Unfortunately, pets age much more quickly then humans and as they get older their health can change rapidly. Performing comprehensive physical exams twice a year is the first step to ensuring that nothing has changed regarding your pet’s health. And many other conditions. So if you have a senior pet in Boca Raton or Delray Beach, please give us a call now to schedule an appointment or book an appointment directly through our website! As pets age, there are many age related diseases and illnesses that we can catch early with routine blood work. Although we recommend yearly blood work for all pets, it is especially vital for pets over the age of 7. For many of these diseases, early detection and treatment can be life altering and may save your pet’s life. Many diseases need chronic management, and the earlier we can implement treatment, the better (and usually cheaper) it is for you and your pet. Thanks to modern advances in veterinary medicine and new therapies, pets are living together with their owners for longer then ever! Unfortunately, as pet’s age they are susceptible to additional diseases. One of the most common age-related diseases we see in older dogs (and is likely one of the most under-diagnosed conditions in cats) is arthritis. This slowly progressing disease affects pets of all sizes, although we often associate it with larger dogs and hip dysplasia. The chronic pain associated with arthritis is often mistaken for “getting old.” Although we will evaluate your pet for any signs of arthritis or pain during an exam, if you notice any of these symptoms, please call us to schedule an appointment. At Healthy Pets Veterinary Care, we take pain management and the treatment of arthritis in dogs and cats seriously. We strongly believe that the quality of your pet’s life is the most important thing- and minimizing any pain or discomfort they feel is vital. If your pet has arthritis, we will recommend and implement a combination of traditional and cutting-edge therapies for your pet. If you think your pet may suffer from pain or arthritis, please schedule an appointment with the best pain management veterinarians in Boca Raton, FL and Delray Beach, FL. We would love to meet you and your pet and can’t wait to discuss possible therapies to decrease you pet’s pain. Call us at 561-994-7656 or schedule an appointment here. We also offer emergency/urgent care for any pet in the event you need to schedule services immediately. 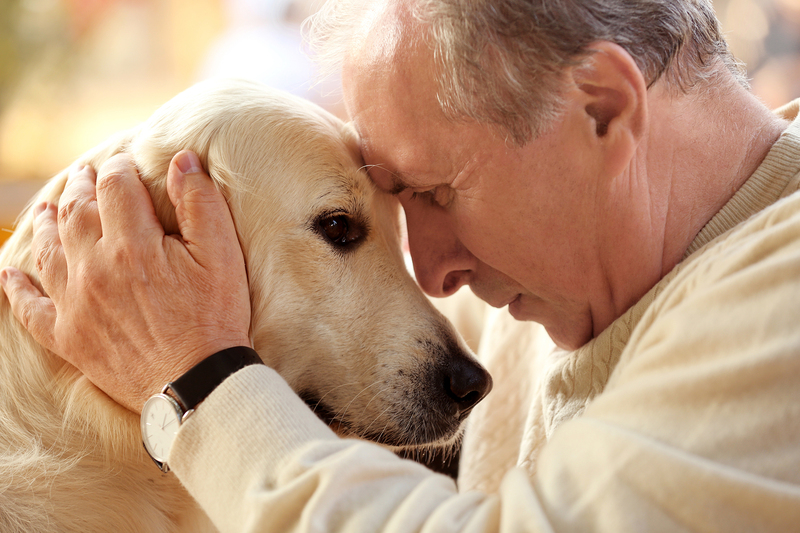 Unfortunately, eventually we as pet parents may eventually have to make the most difficult decision of our lives – when is it time to let our loved ones pass on peacefully? We believe that the quality of your pet’s life is the most important factor and we will do everything we can to give them as much comfort as possible. We can provide you with hospice services and will come to your home for end of life care or to perform at home euthanasia.